Below are all back issues of The Minis Zine, which you can subscribe to from this site. May 26, 2014 -- May 2014. 5 Simple Steps with your Home Designer Program ..
March 27, 2014 -- Mar 2014. Create warmth, character, ambience with a miniature fireplace. January 29, 2014 -- Jan 2014. Begin a new dollhouse bedroom project easy with one word. August 31, 2013 -- Victorian Dolls for your Dollhouse styled in Handies??? July 31, 2013 -- Build a Willow Dollhouse for you or your loved one now. September 28, 2012 -- Woodworking ideas, Dollhouses, SBI and BB2 are they related??? October 29, 2011 -- Doll House Design Guide Updates -- Barbie Doll House Plans for your mini world. Oct 2011. 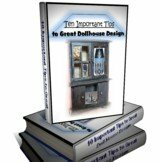 September 27, 2011 -- Doll House Design Guide Updates -- Doll House Accessories your mini world comes alive. Sept 2011.